People who visit Tahoe South to ski and snowboard just can’t seem to get enough of it. That’s ok; not all addictions are unhealthy. First Tracks Productions came up with the premise and produced the intro for Tahoe South’s new “Get Your Fix” video. We then mixed in some really strong and fun skiing and snowboarding footage that we shot all around the South Shore to give people a taste of what they can experience during winter in Tahoe South. 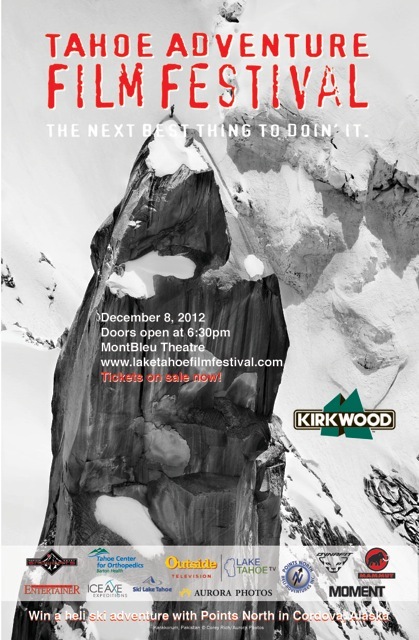 A video First Tracks Productions produced for SkiDUCK will kick things off at this year’s Tahoe Adventure Film Festival on Saturday, December 8th in MontBleu’s theater. First Tracks has been featured in TAFF numerous times over the years – starting with their inaugural event 8 years ago. If you’re anywhere near Tahoe that night, check it out – you won’t be disappointed.